In this fingerstyle arrangement of "John Brown's Body" I used the brush-thumb technique, the arrow and the B (brush) indicate the strings to play together with your thumb. In this way you'll get a very nice "two-guitars effect" full sound. 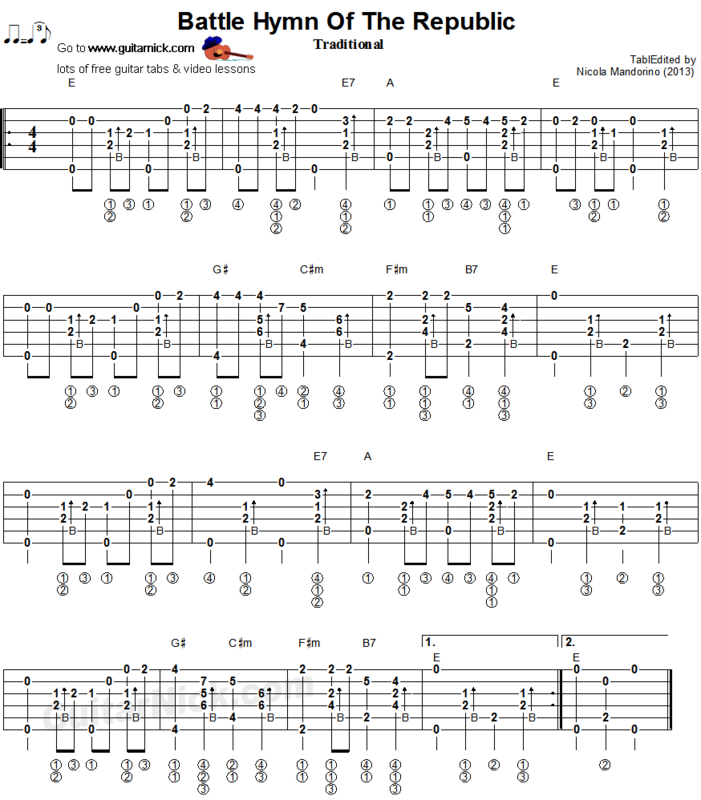 Free guitar lesson with guitar tab, sheet music, chords and my video tutorial.